I am so excited that WOLF BY WOLF by Ryan Graudin has been released and that I get to share the news, along with an awesome GIVEAWAY! Whenever I describe the premise of WOLF BY WOLF to people, the reactions I get are quite similar. It’s the “are-you-insane-or-are-you-onto-something” face: dropped jaw, squiggly eyebrows. I must admit, I felt many of those same feelings when I first started penning Yael’s story. Alternate history + sci-fi + epic motorcycle journey felt like a strange recipe for a novel. But I pushed through my fears and kept writing, and I couldn’t be happier with the result. I, for one, don’t think I’m insane, but I’ll let you, dear reader, come up with your own conclusion. 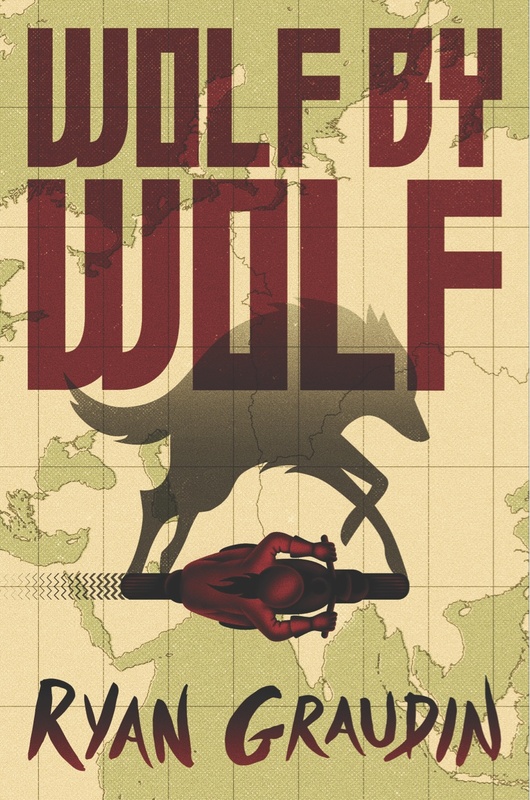 Code Name Verity meets Inglourious Basterds in this fast-paced novel from the author ofThe Walled City. Charleston with a degree in Creative Writing in 2009. She is the author of All That Glows and The Walled City. She resides near Charleston with her husband and wolf-dog. – 1 winner will receive a signed finished copy of the book with a special WOLF BY WOLF pin. – Ends on October 26th at Midnight EST!